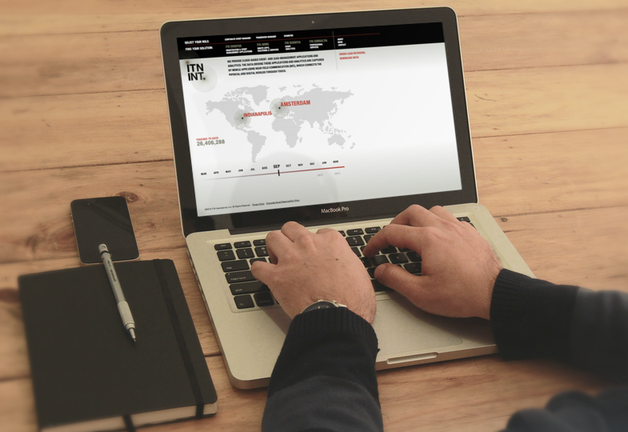 I was asked by Vrontikis Design to manage the design and development of an interactive data visualization on the homepage of asite for ITN International. The visualization was driven by RFID transaction data from the client’s system. The visualization allowed the user to move a slider and see the volume of transactions at different tradeshows over the current year. The volumes were represented by the sizes of markers at locations on a world map. The visualization was built with HTML5 Canvas, jQuery, and JSON.